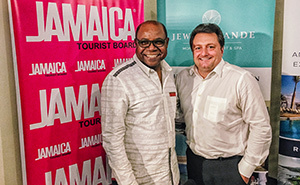 Jamaica’s minister of tourism Edmund Bartlett and Playa Hotels & Resorts’ Kevin Froemming at the 28th annual Jamaica Product Exchange in Montego Bay. Winter is coming – and those in Jamaica’s tourism sector can’t wait. With a boost in airlift secured, a record number of arrivals already in the books for the first half of 2018 and new room inventory coming online, it’s shaping up to be another hot year for the Caribbean destination. Looking ahead to the peak winter season, Bartlett said there are 1.3 million airplane seats connecting Jamaica, including approximately 38,000 more seats from the United States, and 19,455 additional spots from Europe and Britain. 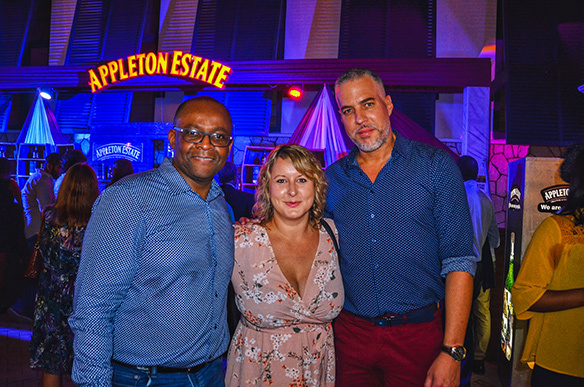 As for the Canadian market, with 42,400 more lift seats set for the high season, which will take the destination over its projected 400,000 Canadian visitor mark, he believes Jamaica is well on the way of hitting its target of 500,000 Canadians by 2021. “Canada is now back with a bang,” Bartlett said at a media breakfast held at the Jewel Grande Montego Bay Resort & Spa. With participants on hand from Canada, the United States, Mexico, Latin America and Europe, Jamaica’s commitment to the travel trade was apparent during this year’s show, which saw roughly 100 Jamaica travel specialists taking part in the event. “We want everybody or any client that walks into an agency this winter that says I want to go somewhere warm, I want to go to the Caribbean, that Jamaica just rolls off your tongue,” said Donnie Dawson, deputy director of tourism – The Americas for the Jamaica Tourist Board, adding the JTB is set to also hit its target of meeting with at least 2,000 members of the trade by the end of November. Presented by The Jamaica Hotel and Tourist Association and the Jamaica Tourist Board, JAPEX is an important business generator for Jamaica’s tourism industry. 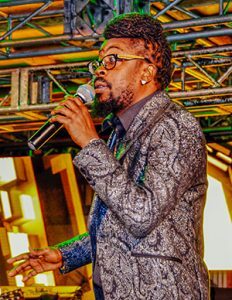 This year’s show included nightly entertainment by the likes of Wayne Marshall and Beenie Man in addition to providing tour operators, wholesalers and travel agents the opportunity to connect with Jamaica’s top suppliers during two days of networking and business meetings at the Montego Bay Convention Centre. By 2021, Jamaica’s room inventory is poised to increase by over 7,500 rooms, including a new 1,100 room Hard Rock hotel slated to break ground soon in Montego Bay, a $US75 million expansion at Half Moon Resort and the opening of the S hotel on the Hip Strip overlooking Doctor’s Cave beach later this year. There’s also lots more in store on the island from Playa Hotels & Resorts, which just announced a strategic partnership with Hilton’s all-inclusive resorts and purchased five all-inclusive resorts and two developable lands in Jamaica earlier this year. The company’s executive vice president and chief marketing officer Kevin Froemming said plans are in the works to bring the Panama Jack brand to Jamaica “in the not so distant future.” As Playa currently operates Panama Jack Cancun and Panama Jack Playa Del Carmen, this would be the first Caribbean destination for the brand. Meanwhile, the capital city of Kingston is set for 500 new rooms by the end of 2019. In addition to continued infrastructure improvements, Sangster International Airport will be expanded with 25,000 more square feet in the departures area. Along with sun, sand and sea, Bartlett also hopes to add a few more “s” words to Jamaica’s repertoire: safe, secure and seamless.